As Thailand continues to develop and its infrastructure and population boom, new types of properties arise. In Bangkok, for example, condominium developments remain popular in the city centre and around important transport links such as the BTS Sky Train and MTS system. Alternatively, in coastal areas and the suburbs of cities, townhouses and detached properties remain popular for both expats and Thai nationals who want to find a little peace. One particular type of development that is also seeing a surge in usage is known as a mixed-use project – the articles explain what this type of property is, and why it is so popular. What is a Mixed-Use Project? As the name would suggest, mixed-use projects have multiple purposes. Traditional developments are generally single purpose – condos are for residential use, malls are for retail, parks are for recreation for example. A mixed-use project could contain a variety of different sections and areas that fulfil several different roles. For example, the One Bangkok development has a whole range of residential apartments and penthouses but also has a shopping mall, restaurants and other amenities. Mixed-use projects typically include huge skyscraper constructs built within a standard town block. The middle and upper sections of the buildings will usually contain residential property, and the lower section, ground area and base will contain retail areas and even surrounding parkland or recreational facilities. 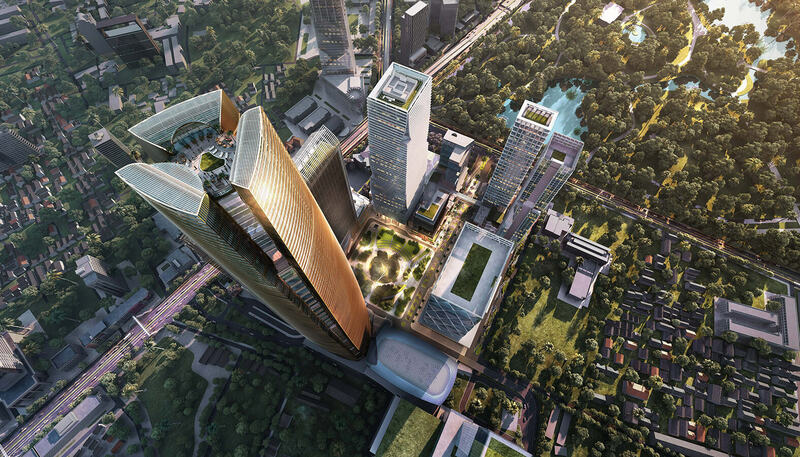 There are many examples of mixed-use projects in Thailand and Bangkok such as ICON SIAM, The Grand Rama 9 and Whizdom 101. As time progresses, prominent developers such as Singha Estate are investing more into this type of complex. Why are Mixed-Use Developments Becoming So Popular in Thailand? In essence, consumers basically have everything they need within a short distance – their home is in the same location as the shops, restaurants and other public facilities. This level of convenience is hard to come by in modern life, especially in a large city such as Bangkok. For developers, a mixed-use complex presents the greatest potential return on investment with the limited space available. In large cities such as Bangkok, Singapore and Kuala Lumpur, the prime land is becoming increasingly difficult to obtain, therefore it is preferable for a developer to create a high-rise mixed-use project on the land they have as they can then appeal to a greater audience. In many south-east Asian cities, the same story is being told. Consumers want convenience and developers must find innovative and creative new ways to compete in a competitive industry – mixed-use projects fill this gap perfectly.